Chrome switches with black lettering factory soldered ready to install. 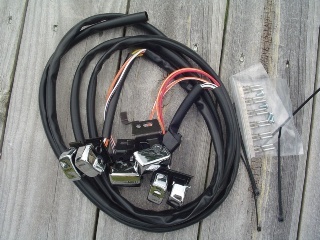 Comes with the terminals, pins connectors and mounting hardware necessary for installation. Color coded matches original equipment wiring. Fits all models EXCEPT those with radio and or cruise controls.